The honeybee approached its target, perhaps in a pollinating stupor and unaware that a group of students followed its every move. As it hovered over the pink petals of a wild rose and touched down on the flower, sophomore Taylor Hines held up a second finger. Two honeybees and counting. Amanda Wood, also a sophomore, scratched a note on the data collection sheet attached to the clipboard in her hand. As the pollinator flew to another rose a small distance away, the students continued their quest for other flying insects. Slowly they made their way along a transect—the invisible line they followed in the Lacamas Prairie Natural Area—recording the kinds of pollinators they observed on the vegetation as they walked through thigh-high grasses and native plant species. 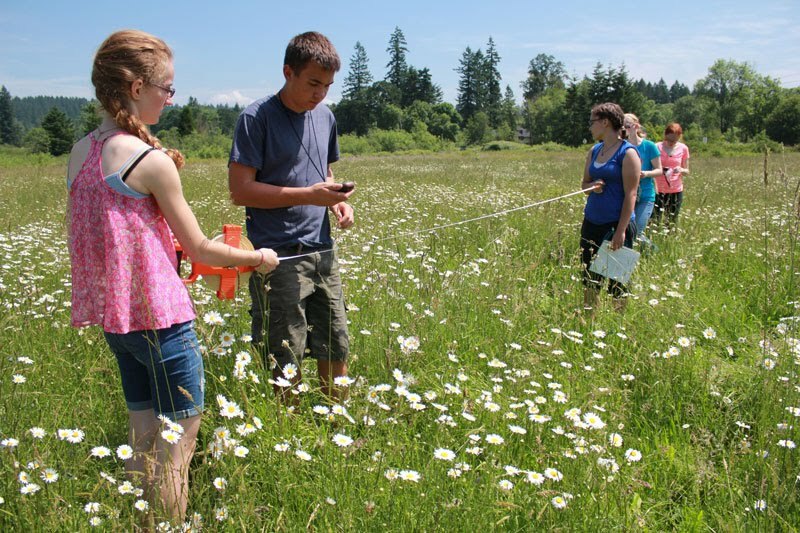 The students, who attend Battle Ground Public Schools' Center for Agriculture, Science, and Environmental Education, or CASEE, have been asked to help with a multiple-year study to collect data on how many and what types of pollinators use Lacamas, which is one of a number of dwindling prairie ecosystems in the Pacific Northwest. CASEE is one of the Battle Ground district's Career and Technical Education (CTE) programs. CTE endeavors to engage students in learning experiences that provide practical skills in 36 industries and give them a head start on careers and college courses. 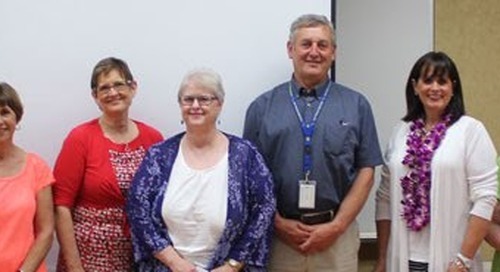 CTE looks to an advisory board of people who work in the disciplines that the program touches to provide knowledge about what skills students need to be successful. Carlo Abbruzzese is one of those people. 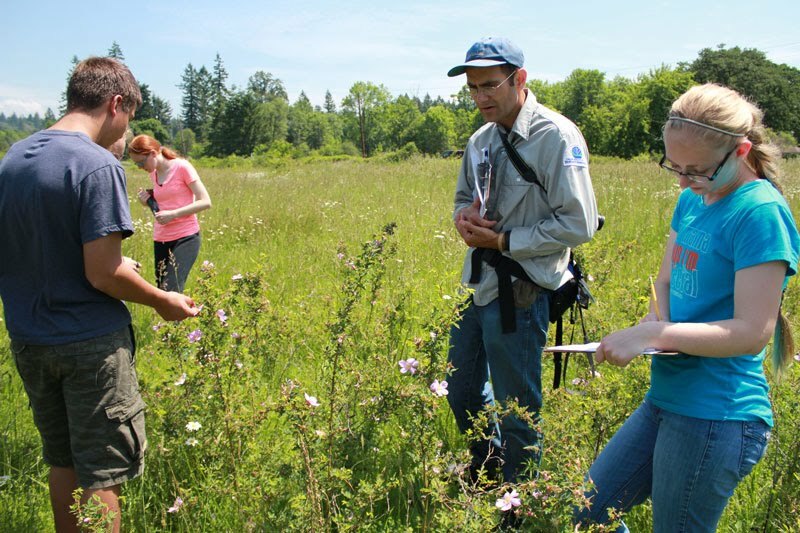 As a natural areas manager for the Washington Department of Natural Resources, Abbruzzese manages public lands and conducts studies to create management plans for the preservation of native ecosystems. 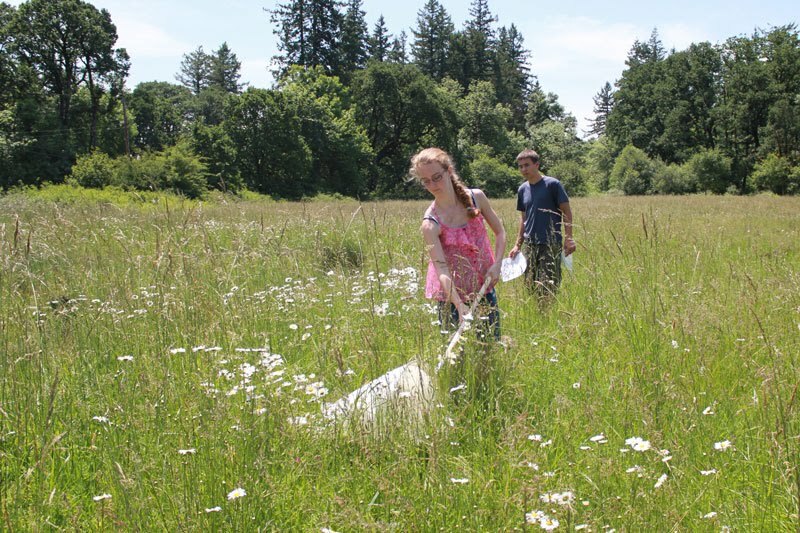 He has been working to restore the Lacamas Prairie Natural Area in Clark County and invited Irene Catlin's environmental science students from CASEE to help collect data for a pollinator study. The Lacamas Prairie Natural Area is home to native plants that include the federally endangered Bradshaw’s lomatium and Oregon coyote-thistle, Hall’s aster, dense sedge, Nuttall’s quillwort, small-flowered trillium, Willamette Valley wet prairie and Oregon white oak woodland. Wet prairies historically covered large areas of the Willamette Valley, where they were maintained by a combination of wetland soil hydrology and frequent burning. The ecosystems have been reduced to fragments of their former total area. In an effort to determine the success of the restoration work at Lacamas and also the status of pollinators in the area, Abbruzzese wants to know what pollinators use the prairie ecosystem, and felt that both the Department of Natural Resources and the students could benefit by their participation in the research. "Part of the mission of our program is education and getting students out in nature and learning about it," Abbruzzese said. "These efforts help us achieve our goals." To help collect the data, CASEE students learned about the methods researchers use to ensure a study's results will be valid and reproducible. On their recent visit to Lacamas, students measured and marked the transects along which they would make their observations and identified various plant species and pollinators that they found. The students used GPS devices to log coordinates along the study area and timed their journeys so they would spend 15 minutes along each transect. They conducted insect sweeps in tall grass using cloth nets and then shook their catch into plastic bags to identify the different species. The students are collecting baseline data this year, which will be used to compare the results of future years of data collection as the Department of Natural Resources continues to restore the area by planting species that are native to wet prairie ecosystems. CASEE's Catlin is pleased about the experience her students are getting by participating in the state's research project. 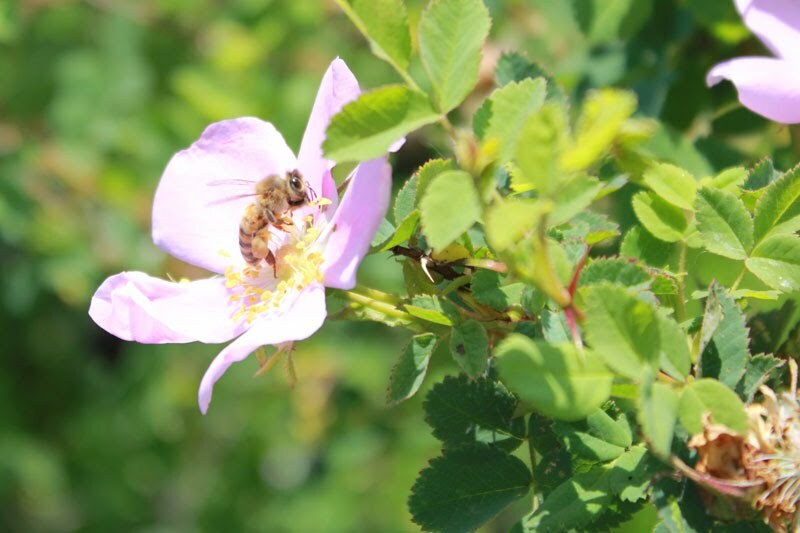 "Pollinators are in decline, so this is a fantastic and relevant study," Catlin said. "We're hoping to see how the pollinator population responds to future plantings and other work."